With the Kinect for Windows, it is possible to control interactive exhibits with the human body. We created a socket to communicate with the Kinect, which provided the data in an XML-format. 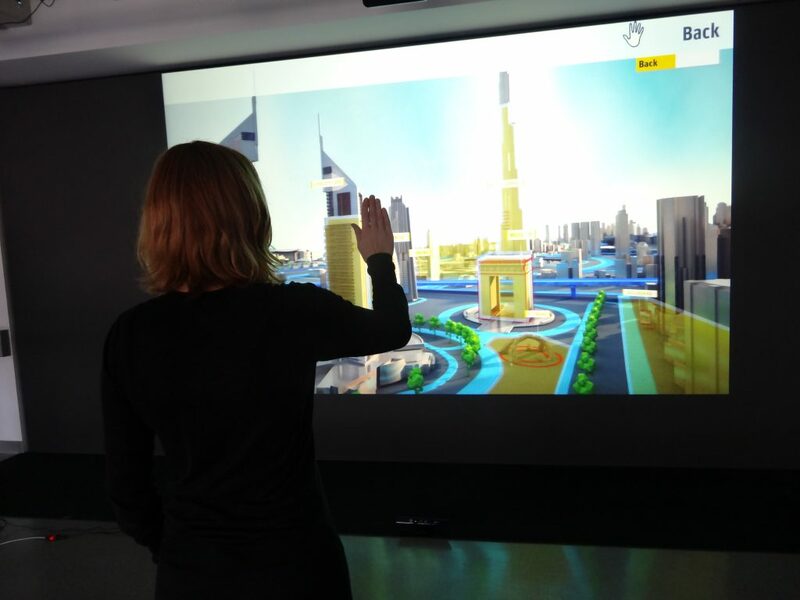 For example, the Kinect is used in the projects NXP SmartCity (interactive flight through a city with RFID demos), WISP (multimedia information with gestures), ErgoTetris (Tetris which is controlled with your hands), Bodyscanner (scan of the upper body with data of the visible human project).